I use hada labo, cheap and nice. I use on arm too, consume very fast. may i know which hadalabo you use for sunblock in the face? Locally, theres only 1 Hada Labo sunscreen which is the emulsion and can be used on face and body. Heres a link to what it looks like. I shall get my hands on this when I get to HK. I suppose it would be cheaper there! Hope you’ve managed to get your hands on this one? In our current weather we need all the help we can get! 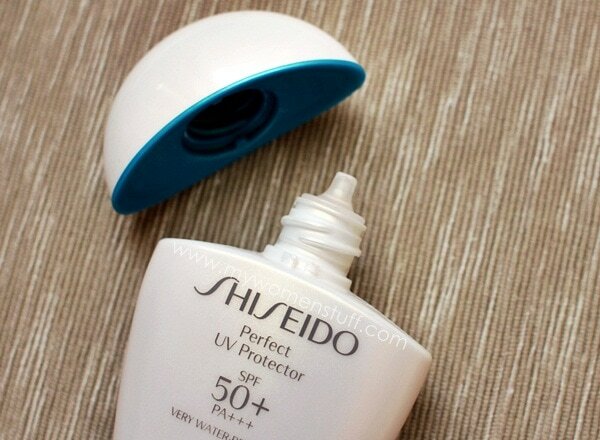 I just got the blue bottle one yesterday, the Ultimate Sun Protection Lotion SPF60. I’ll do a review when I get to know it better. But how did you manage to conclude your skin doesn’t like Zinc Oxide? I’d really like to know what my skin doesn’t like. I was trying a few sunscreens with very high zinc oxide content a few years ago. Zinc oxide is supposed to be the best uv blockers for both UVA and UVB rays but I’d break out after using all of them, from various brands. Sunscreen with Titanium Dioxide was fine. That’s how I eventually worked it out. It’s not common though I found some very few people talking about it online back then. Hmm, it’s time I checked the ingredients of my so far fave sunscreen which is by Lancome. I’ve been thinking of trying something new and if the ingredients are similar I might just try this…. I’ve ordered the Naruko Tea Tree Anti Acne Sunscreen which come with SPF50+++ and lightly tinted…not sure how will this perform on my face though. 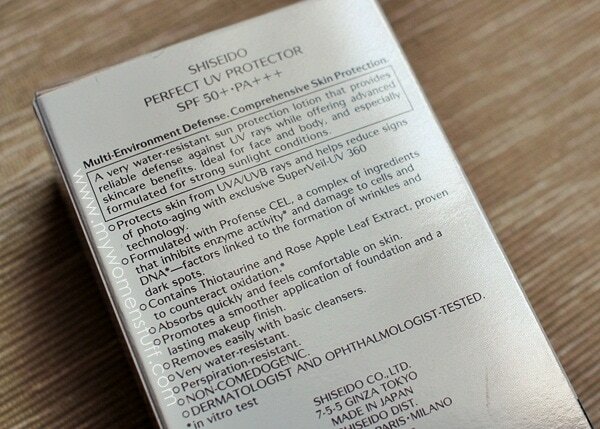 Hopefully it is doing well on me coz my face generally react to sunscreen… Anyway, got to wait till I finished this (if my face do not react) before I could venture into the Shiseido one. Haven’t come across the Naruko one but an anti acne sunscreen sounds very interesting! wow…I so wanna try it right away, Paris 😀 thank you so much for this review…will surely go for this after my current stock is over. btw, how much of the sunscreen do you apply? I mean you said one finger for one portion means one finger length of sunscreen or a large dollop for one half or what??? regd sunscreen on the arms, yes, its very imp to cleanse the arms too…I do that regularly. btw, did one bottle last you for two months??? will check out if its available in India too though I guess it should be. I use quite a sizeable dollop, about the length of the top phalange of my finger? Something like that. 2 months takes me to about half a bottle so this should safely last me up to 4 months unless I go to the beach in the meantime, where I’ll likely use more 🙂 hope this helps! so is it like that much on both cheeks and forehead each or for one half of the face??? and, it doesn’t get heavy at all??? I use that much for each part of the face so that makes it 5 dollops in all. Nope, not greasy at all. I do the same with all brands of sunscreen. I have a very high tolerance for grease lol! But this one is exceptionally good and staying more matte. Happy you like this too and that you knew what I was talking about when I mentioned the papery feel haha! It’s a nice one right? 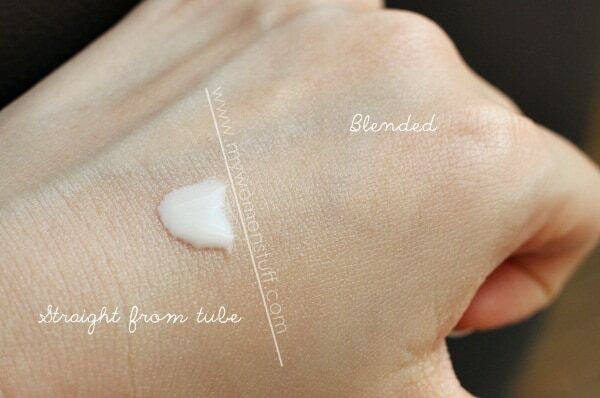 I have tried the white one tat is 30ml which is said to be for face only, and yes.. I agree with the scent as well. Recently, i got samples of this one and apply one sachet of it to my face, arms and legs for my Sepang Trip… I was impressed as there is no redness but I got a bit tan though after 6 hrs out and about in the sun 🙂 now my existing sunscreen is running low and still considering if I should splurge or try drug store brands… Any recommendations? I was eyeing on getting this when Im down to Malaysia in September.But then currently the summer here in Europe is too hot too handle, I can’t wait that long while getting baked and burnt lol! 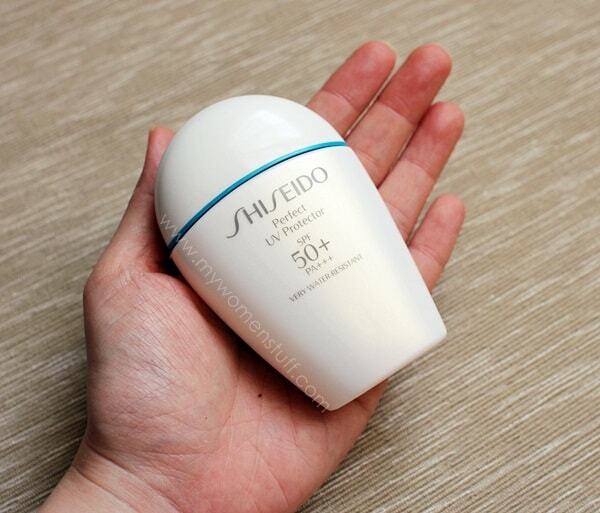 I had a so-so relationship with La Roche Posay Anthelios sunscreen earlier, its a fluid type.But then it did leave a slight whitish cast.Then I discovered Bioderma Photoderm Max spf 50 ultra fluid, hands down! no masky or whitish cast!! Best of all.no breakouts yay! Plus my makeup after this sunscreen looks gook too. 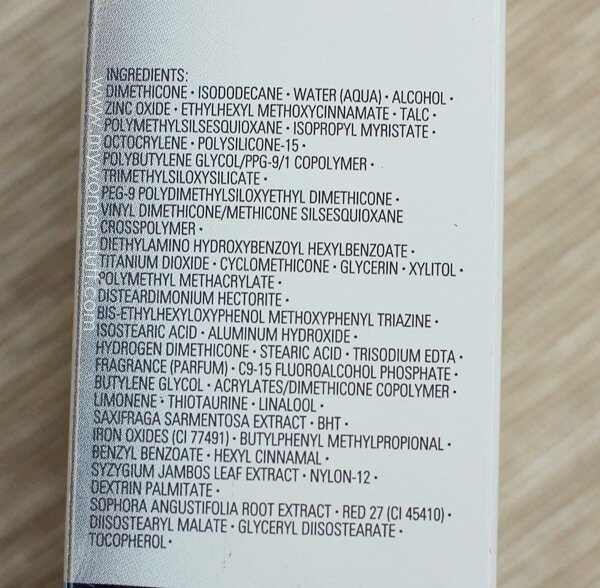 Ooh that Bioderma sounds like a good one! It seems like summer has finally arrived in Europe then? Just a while ago I was reading laments about how cold it still is when it’s already June! 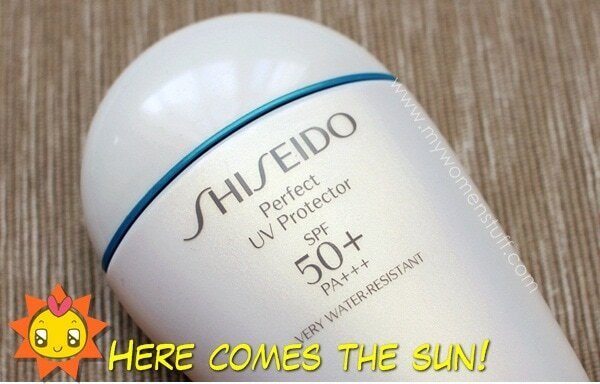 I’ve tried Shiseido’s sunscreen before. While it works well for me, I dislike the white cast after application. I’ve only used a bottle and stopped. Currently using Biore’s UV Perfect Milk sunscreen SPF50+++ which cost less than RM50 and my face stays matte at least 6 hours. Sometimes when I don’t have time to apply my make up, I will still apply this sunscreen. I can afford the extra minute for sun protection + oil control. Maybe because i dint really use make up remover to clean them away. Hello! I’m using Kanebo Blanchir White Deep UV Day Protector 60 ml at RM 110. Have u tried this? And just wondering, is it sufficient to just use cleansing milk (e.g. from Nivea) as a make up remover? I only use sunblock, make up base (from laneige) and concealer wherever needed. thanks for this blog on sunscreens – I’m fighting with myself which one to choose but now i’ve got an idea. BTW, have you heard of Innobloc sunscreen – could you make a review of this please? that would be appreciated…Thank you..
Hye sweety paris B… i agree with u. Realy fall in love with this sunbolck.. in skincare regime i always mix n match due i have unpredictable skin condition sometimes can b too much oil.. sometimes tend to dry. I also having unbalanaced hormone problem. So hard to find corect skin care. F.y.i for cleanser im using agless range from image n mix with clinique cleanser. Toner using clinique also dermawhite toner n antiblemish toner using alrernate depend on skin condition then folow with sk2 f.t.e then celemunition essence. 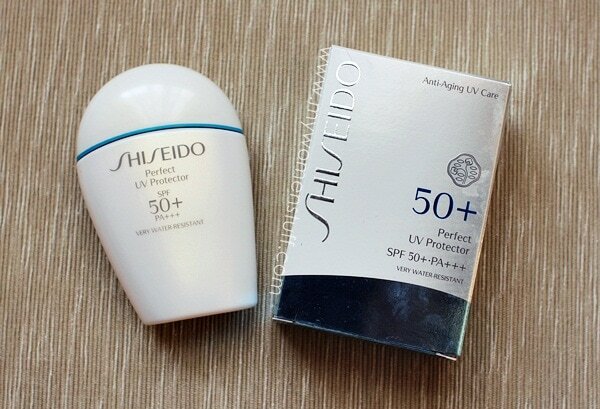 For moisturizer im using clinique yelow lotion n gel cream dermawhite.. i have to blend it together since unpredictable skin condition lol… lastly shiseido sunblock spf 50…. ???????????????? my dear p.B im confiuse in d catalouge they printed spf 50 pa++++ or pa+++??? Is that anyone here trying obagi sunblock spf50 from nuderm??? I have but it broke me out very badly so I don’t have anything good to say about it.